An analysis of crime in London since 2012. 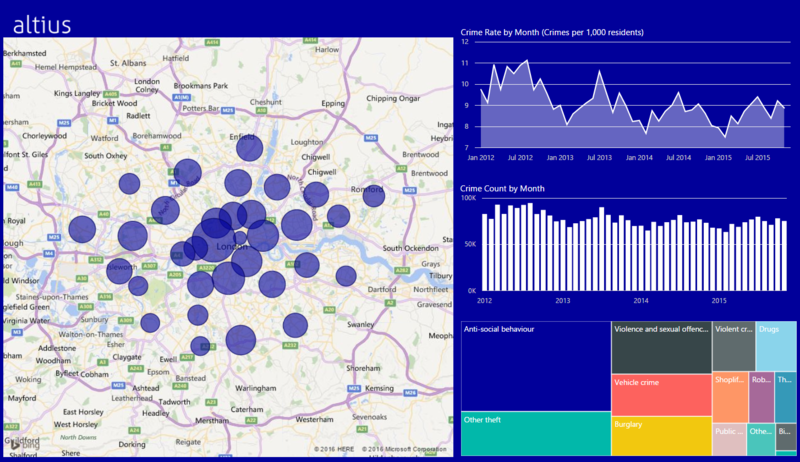 Analyse data by number of offences, crime rate and explore different demographics. Compare the crime rate across London boroughs for different crime types. This report shows crimes reported in London from January 2012 to December 2015. 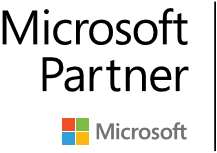 The crime data has been obtained from data.police.uk and combined with 2011 Census Population data obtained from the Office for National Statistics within the Power BI data model in order to calculate the crime rate as the number of crimes per 1,000 of the resident population. 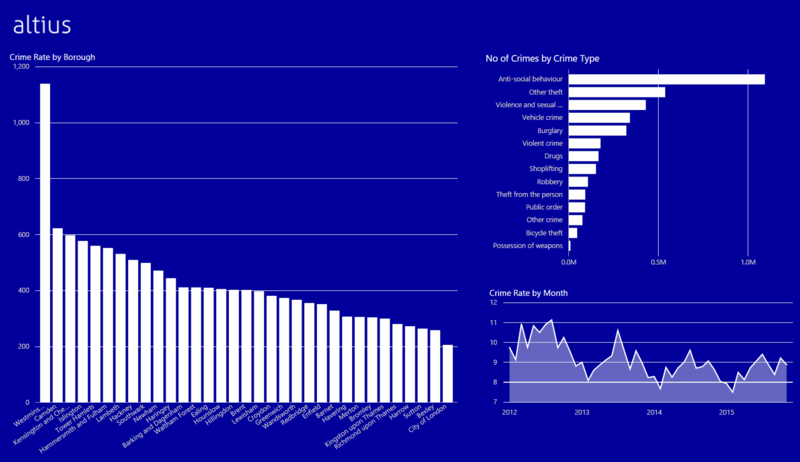 The first page of the report provides and analysis of crimes as Crime Rate over time, Number of Crimes by month and breakdown by Crime Type. 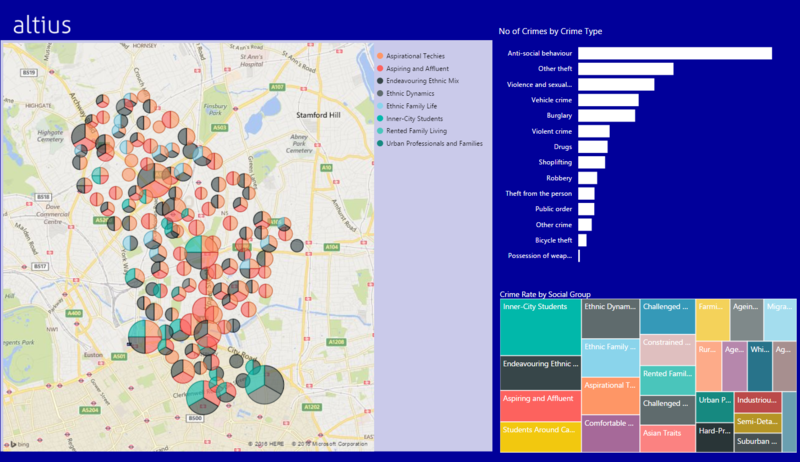 The map shows the crimes at London Borough level and can be drilled down to explore crimes within two levels of statistical areas. The second page of the report shows the crime rate compared across each London Borough. The Crime Type can be selected to show the comparison for each of the available offences. The third page of the report combines the crime data with Social Group data obtained from the Office for National Statistics based on the categorisation of the people living in the location that the crime was reported in. This provides an analysis of the different communities in London affected by the various types of crimes.